When Zwickelmania was launched a few years ago, it was mainly a means of exposing beer fans to breweries. Pretty simple. Now that the event has grown up, it has morphed into much more. The smart kids on the brewing block now see it as a launching pad for special events and beer releases. The thing is, more than a few brewers had recently become less than enthusiastic about Zwickelmania. Why? Because it can tend to attract vagabonds seeking free beer and other bennies. That gets old. However, if you re-frame the event as an opportunity to market other things, it recaptures its shine. So when breweries around the state roll out the red carpet to welcome beer fans this Saturday, crowds will in many cases be exposed to more than just tastes of (mostly) unfinished, yeasty beer. 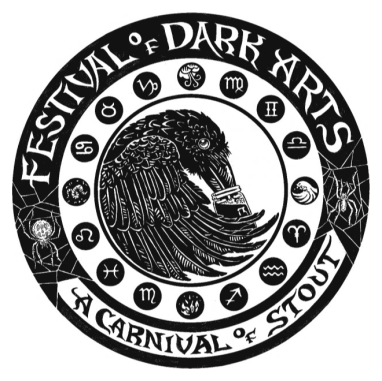 You may be familiar with the Festival of Dark Arts hosted by Fort George in Astoria. It's a great example of building on the buzz of Zwickelmania. They put on a serious winter party with a terrific tap list, food and live music. All you need to do is make the trip out to Astoria and you're going to have a great time. Details here. Then there's Breakside. Coming off 100 beers in 2013, these folks are releasing a new seasonal, Suburban Farmhouse, and a limited edition seasonal, Elder Statesman, to coincide with Zwickelmadness. 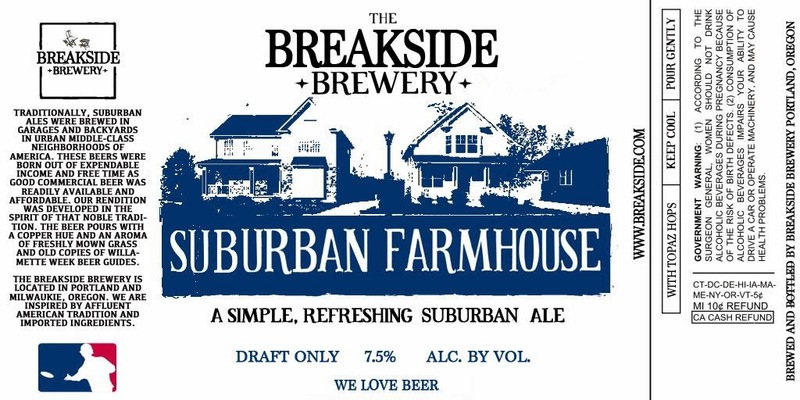 Suburban Farmhouse, which will be draft only, is a takeoff on The Commons' Urban Farmhouse, but the two beers have little in common. Elder Statesman is a blend of two barrel-aged beers that were aged some more and then re-dry hopped. Bottles of Elder Statesmen will be available at Breakside's Milwaukie taproom Saturday. In Eugene, Oakshire is thinking along similar lines with their Hellshire Day and Barrel-aged Beer Fest on Saturday. They are, of course, open for Zwicklemania tours (and yeasty beers) at their brewery. But the main event is the festival and release of Hellshire IV, available in wax dipped 22 oz bottles at their Public House. The fourth gen Hellshire is a blend of three beers, all matured in bourbon and brandy barrels. Very Ill Tempered Gnome is the base beer. A few beer media geeks tasted Hellshire IV at Saraveza the other day. The consensus was fantastic. They plan to sell this stuff beginning at 11 a.m. and there will be a limit for the first few hours. Get some if you can! 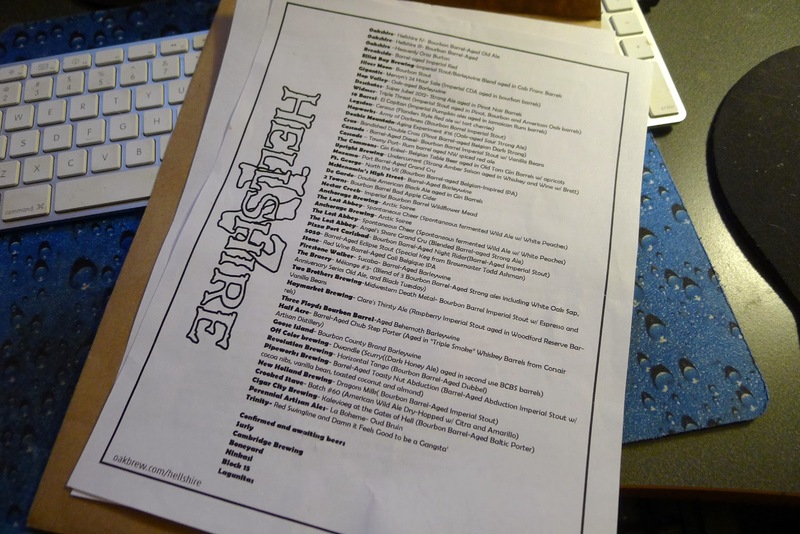 The Hellshire Day festival features a long list of barrel-aged beers from all over the place. Your $15 entry fee includes a commemorative Teku tasting glass and five tokens. You can buy more, of course. They will also have pizza and burgers. Four bands will provide live music. A good time will surely be had by all. I know some who are saving their livers specifically for his event. More details here. These are just a few examples of what breweries are doing for Zwickelmania 2014. It has clearly morphed into something that goes far beyond yeasty, unfinished beer. That has to be a good thing.